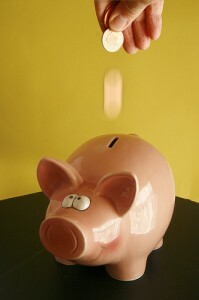 Save More Money - Principles of Financial Management #4Eliminate The Muda! If you have followed the EliminateTheMuda Principles of Financial Management, you are investing in yourself with education on money management using the 1st Principle. Next you will begin to consider how to get your spending in line with the 2nd Principle, living within your means. Once you are spending less than you make you would apply Principle #3 to systematically pay off your debts. As you make progress on getting your debts paid off you will then begin on the 4th Principle, Saving More Money. Key to applying the 4th Principle is understanding that saving money is not like a diet, something that you do for a period of time. Saving money is a change in lifestyle, something that you commit to from this day forward. But how much money should you save? Over the years you have probably been exposed to several different philosophies. Anecdotally, it seems common advice is that we should save at least 10% of our income. If you enjoy an average life of 78 years retiring at 67 that leaves you a minimum of 11 years of expenses without wages. How will you survive financially? Social Security is predicted to be out of funds by 2037 according the Office of the Chief Actuary as reported by The Washington Post. To be blunt, should we spend our life under the assumption that somebody else will take care of us in our golden years? Or should we take pains now to ensure we can provide for ourselves? Assuming a retirement at 67, the average life span is 78 and the first 16 are covered by our parents; this means that during our working lives we must generate enough assets to provide for the 17% of our life that we are retired. This 17% of our lives in some ways may be our most expensive considering the increasing need for healthcare and increasing costs of healthcare. Next you must contemplate the impact of inflation on the dollars we save today. Historically inflation runs approximately 3% per year on average. If this trend continues, $1 saved today will only be worth .40 cents in 30 years. So how much money should we save? If we are to listen to the real experts, people such as Brooks Hamilton a corporate benefits consultant featured in a PBS Frontline show called Can You Afford To Retire. Based on Brooks’ extensive experience he believes that each person should be investing 15-18% of their income in their 401K each year for their entire career. The experts however are assuming we make the right decisions throughout our careers. If you were fortunate enough to have the intelligence or guidance from a young age, you probably are not still reading this post. If you are still reading, you were like me, you started late. Factor in the rate of inflation and predict a less than stellar rate of return (better safe than sorry. It is hard to see that any less than a 20% savings rate would be a safe bet for a comfortable future. The later you start the more you will need to save. Don’t believe it is possible to save so much of your money? You are wrong. It will not be easy and may not be fun, at first. If you are determined to protect your family and protect your future it is possible to survive and thrive over time by making good decisions now, educating yourself on the ways of good money management, and never giving up. It requires Persistent Purpose. You have to start somewhere, and a great place to start is with the understanding that it is easier to save a dollar than it is to make a dollar. Want a better idea of how much you need to save based on your age, income and current savings? Take a look at the Ballpark E$timate calculator at ChooseToSave.org. Have a spare hour? Watch Can You Afford To Retire on PBS, it is worth every minute. Apply the 1st principle of financial management, invest a little time in yourself and your education about what is really required to retire comfortably and you will learn the only way to accomplish your desireed goals is to save more money. Compound Interest – Friend or Foe – Part I « Eliminate The Muda!